One of the best things about February 14th, is wearing cute Valentines day nails! 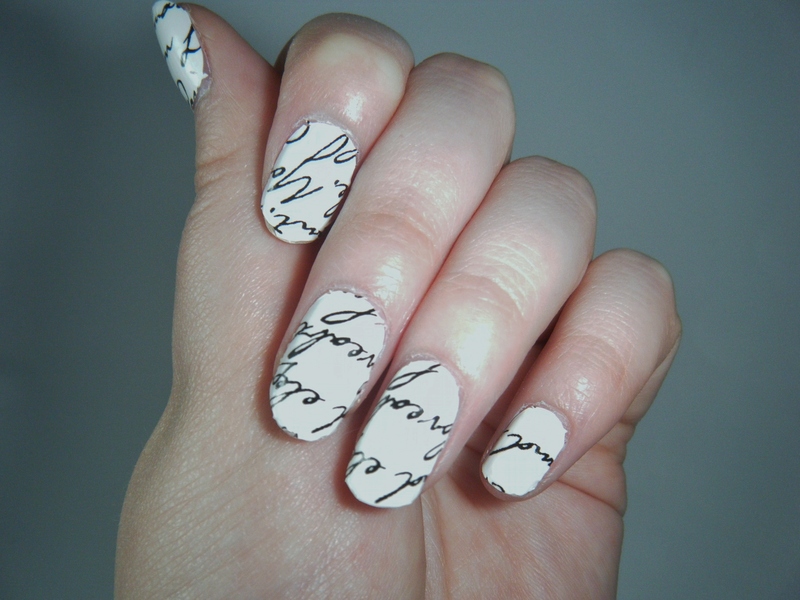 I have come up with some cute love themed manicures, that you can try out. 1. 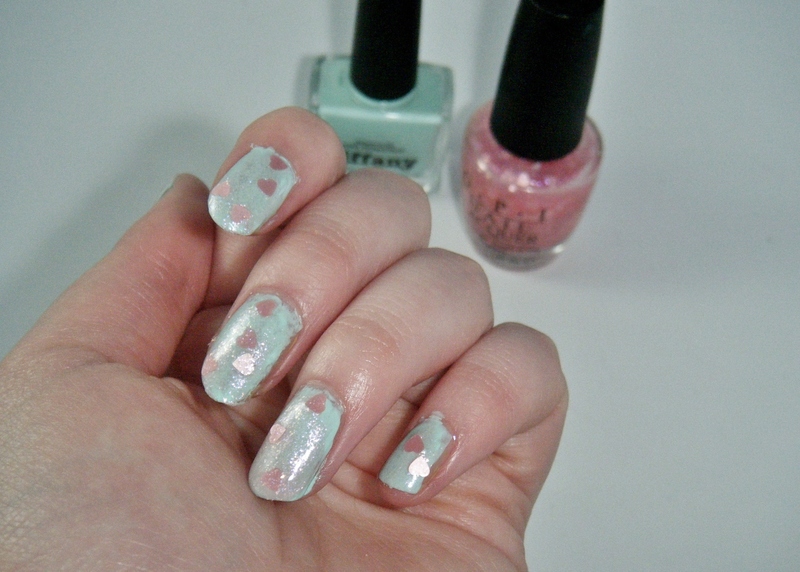 Confetti Hearts- I used piCture pOlish nail polish in ‘Tiffany’ as the base colour and used OPI Nail Lacquer in ‘Nothin’ Mousey ‘Bout It’ (from the 2012 Vintage Minnie Mouse collection) over the top. The thing that I love about the OPI polish, is the heart confetti in it…I have never seen anything like it in a nail polish before, so cute! 2. Put A Ring On It- This manicure is kind of inspired by the Beyonce song ‘Single ladies’, I’ve used piCture pOlish nail polish in ‘Tiffany’ again because it’s ‘Tiffany blue’. 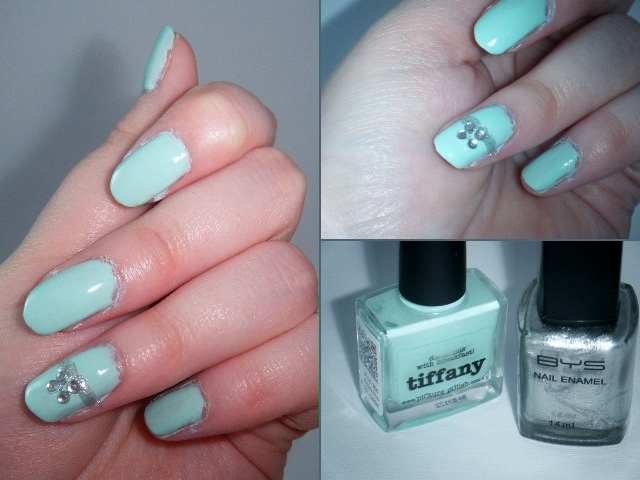 Then I added jewels and a silver (BYS Nail Enamel in ‘Disco Ball’) band to look like the ring, on the accent nail. 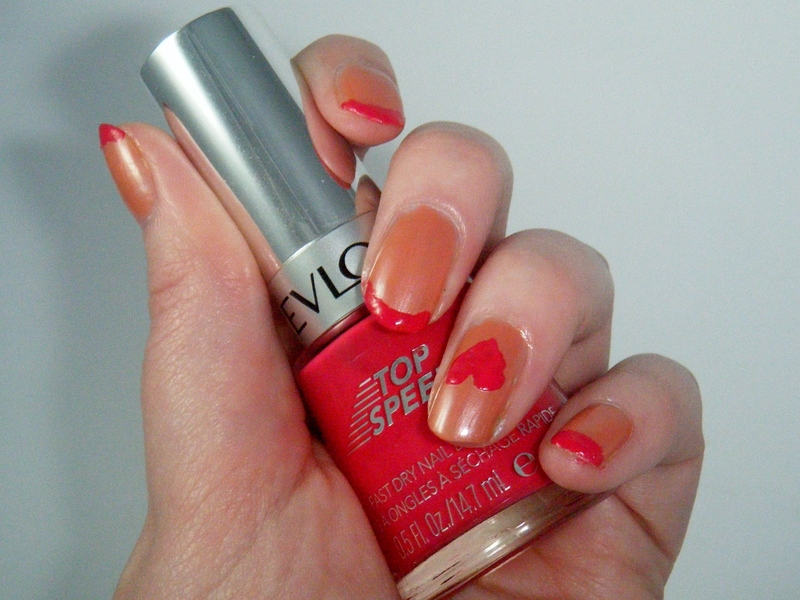 I recommend Revlon Top Speed in ‘Peachy’ as a replacement colour. Then I painted the tips of each nail (except the ring finger) with Revlon Top Speed in ‘210 Jelly’. 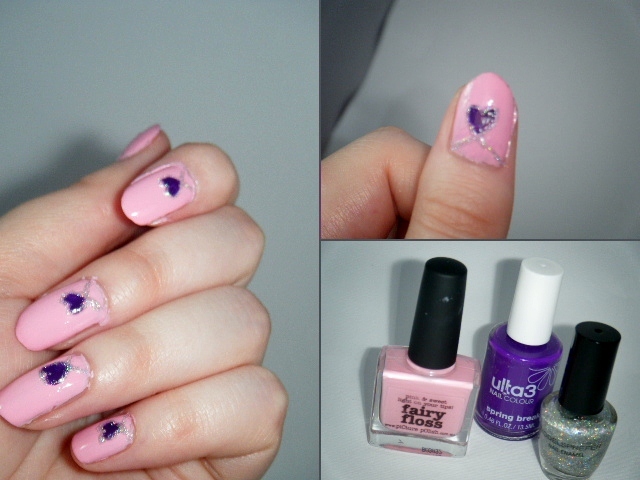 I finished it off by drawing a heart-in the same colour- on my ring finger/accent nail. 4. My heart does loops- For the base I have used piCture pOlish nail polish in ‘Fairy Floss’, Ulta3 Nail colour in ‘Spring Break’ for the hearts and I used a toothpick dipped in ModelsPrefer Nail Enamel in ‘Disco ball’ to draw on the ‘loops’. 5. Love Letter- Of course this isn’t a manicure I’ve created myself, but I thought I would add it for those of you that want a quick and easy valentine’s day mani. One that you won’t have to wait for to dry too! 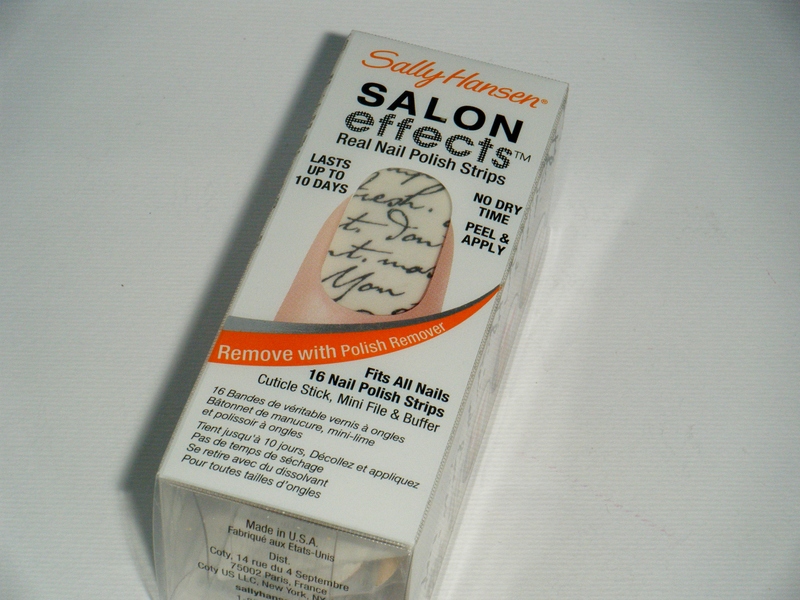 I’ve used Sally Hansen Salon effects Real nail polish strips in ‘410 Love Letter’ -which is still available from Priceline and other Sally Hansen stockists, as it is part of their permanent line (unless they ever decide to discontinue it of course!). Note: I know that Valentine’s day should have an apostrophe, but I have taken it out for SEO (Search Engine Optimization) purposes. This entry was posted in Beauty and tagged heart nails, picture polish, sally hansen love letter, valentines day nails by cottoncandydiva. Bookmark the permalink.